This Nose Print Necklace is custom made using YOUR dog's nose print (or cat, of course)! After you complete your order, we will send you a simple mold making kit to make the impression of your dog's nose. It's a quick and easy process. Send the mold back to us in the pre-paid envelope and, we'll get to work in the studio transforming it into a beautiful piece of jewelry just for you! 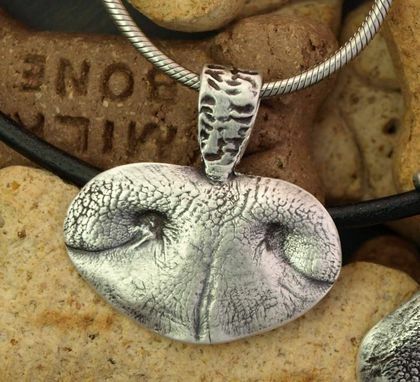 Your pendant will be made from 99.9% Pure Silver (Sterling is 92.5% silver) and antiqued to highlight the individual characteristics of the nose print. We will even hand-stamp a name or short phrase on the back if you'd like! 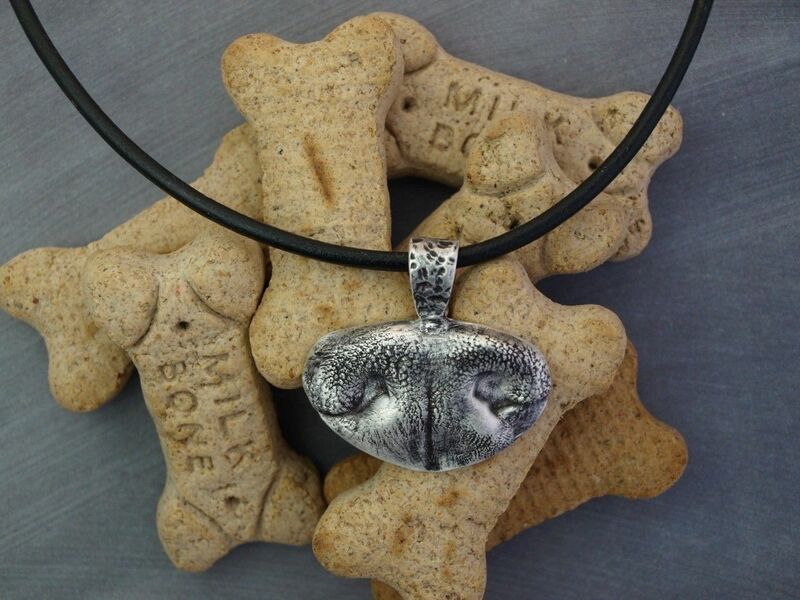 This Small Necklace is for breeds under 45 Lbs. (If the noseprint is too large, only part of the impression will be used in the final design). If you are unsure, go for the Large Necklace. This necklace is very substantial and comes with a hefty 18" Stainless Steel Chain. For a longer chain, please contact us before final check out and we'll create a custom listing to meet your needs. Production time is 2 to 3 weeks.